Nose: Soft peat smoke with short lived acrid burn note (that thankfully disappeared quickly), vanilla and honey, sweet fresh cut oak, Slowly smoked cured meat rises up big time, salt. After it breathed for a few minutes there’s meat, lemon and vanilla stuffed baked pastry. This is one tasty nose. Palate: Big time cured meat, BBQ, ashes and peat, bonfire smoke, weak TCP, sweet, vanilla, fruity with pears and melons. Finish: Long finish with lingering soft cured meat and vanilla, sweet fruitiness, pepper and honeyed pastry. Thoughts: This series fails to disappoint me in the last few years. Each batch has its own flavour quirks but they are always a good bottle to have, drink and share with friends. It’s easy enough to get a bottle of the 10 CS in the USA for around $65. A no-brainer, really. 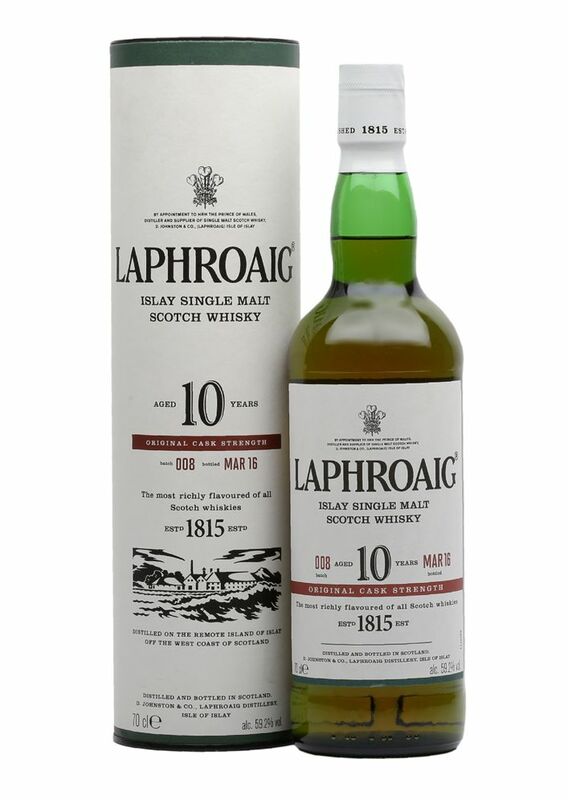 This entry was posted in Whisky Reviews and tagged Laphroaig on September 6, 2017 by Yoav @ Whisky Gospel.